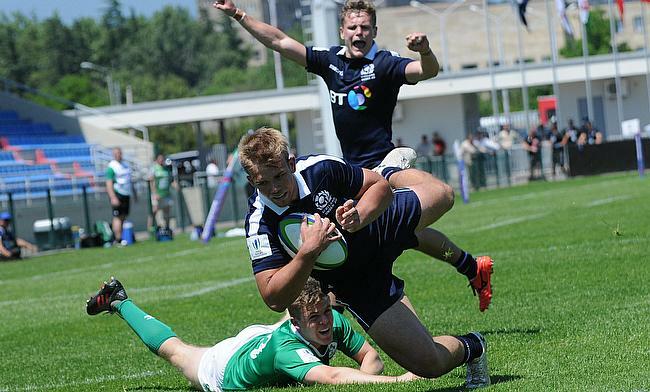 Scotland made amends for their defeat against New Zealand as they completed a 28-32 win over Ireland in a closely contested U20 Championship encounter at AIA Arena on Sunday. After the first 16 minutes went without a point, fly-half Conor Dean scored a penalty in the 17th minute to get Ireland off the mark while a touchdown from Jack Stafford made it 10-0 at the end of 22 minutes. Scotland bounced back when Ross McCann crossed over in the 28th minute and they soon claimed a two point lead with a try from Fraser Renwick at the stroke of half time. After Connor Eastgate and his counter-part exchanged penalties at the start of the second half, Darcy Graham went past the line for Scotland but his efforts were negated after Jack Kelly responded with a try of his own. In the final quarter, Scotland scored two more tries through Eastgate and Robbie Nairn and it proved enough as they completed a four point victory despite a 67th minute penalty from Alan Tynan followed by Kelly's second try. Scotland are positioned second in Pool B behind New Zealand while Ireland languish at the bottom.